An invitation to a Veterans' Forum on Wednesday 15th November. If you wish to attend please ensure that you RSVP as per the details on the flier. 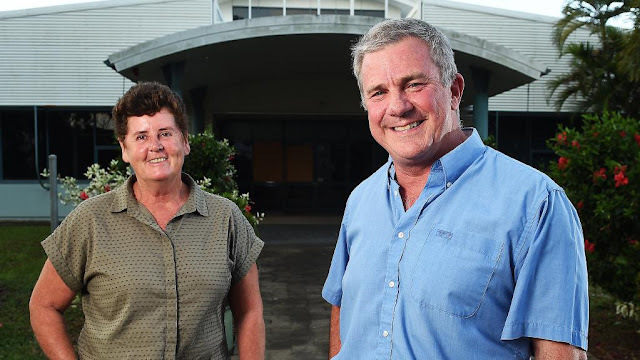 Orygen, the National Centre of Excellence in Youth Mental Health, in partnership with Phoenix Australia, Centre for Posttraumatic Mental Health, is working through a number of ideas to improve the transition of younger serving ADF personnel. 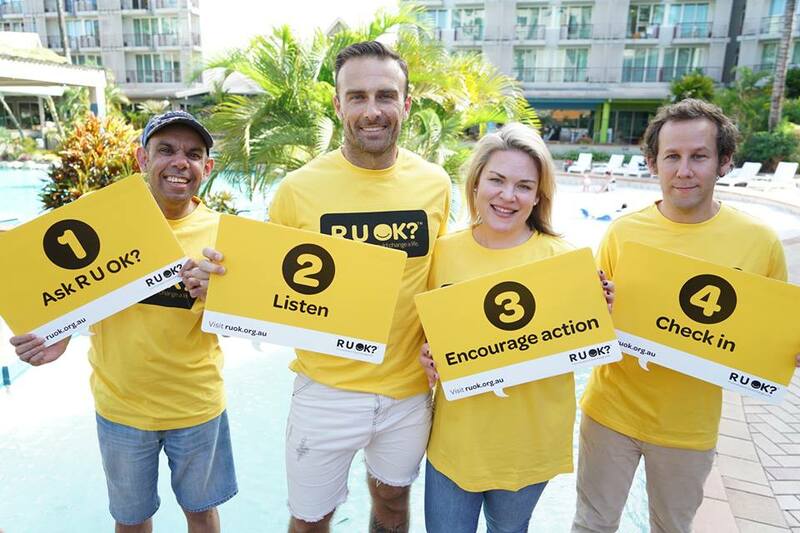 To ensure that young people who have experience of this process are engaged in this important work they are holding a round table forum in Brisbane in the afternoon of Wednesday 1 November 2017. They want to hear from younger ex-serving ADF personnel about what you think of these ideas. The round table forum will present the background to the ideas and outline the direction they are taking. 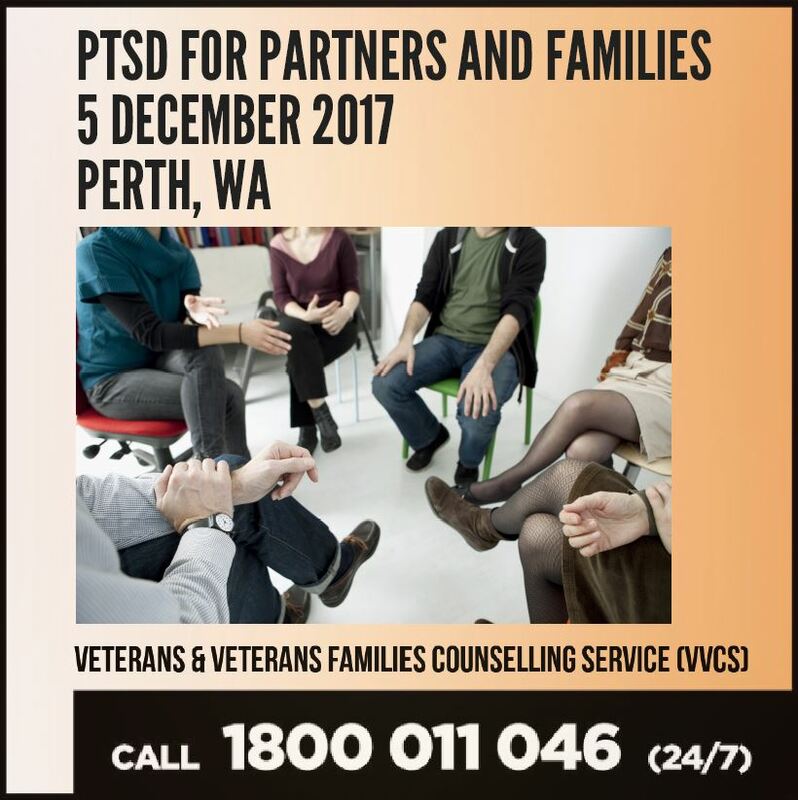 If you are aged under 25 years and have transitioned out of full-time ADF service, they invite you to register your interest to be part of this forum. Places will be limited to enable discussion and ensure everyone has an opportunity to contribute. Are you an experienced advocate who'd like a say in the future of advocacy training? by 2400 AEDT on Sunday 22 October 2017. As of 12 October 2017, the Safety, Rehabilitation and Compensation (Defence-related Claims) Act 1988 (DRCA) has replaced the Safety, Rehabilitation and Compensation Act 1988 (SRCA) for current and former members who have injuries or illnesses arising from their service prior to 1 July 2004. This new legislation will provide rehabilitation and compensation for current and former members of the Australian Defence Force (ADF). The DRCA duplicates the SRCA, but has been modified to cover only current and former ADF members and their dependants. Eligibility and benefits under the DRCA will be the same as those currently available under the SRCA. Those members and dependants with existing claims and entitlements under the SRCA will now be automatically covered by the DRCA. The commencement of the new Act will not alter the eligibility and benefits currently available under the Military Rehabilitation and Compensation Act 2004 or the Veterans’ Entitlements Act 1986. 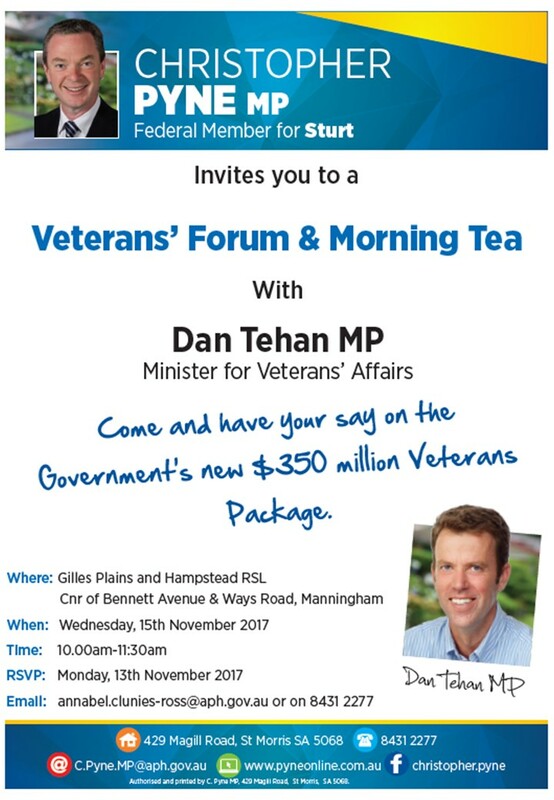 The new Act will give the Minister for Veterans’ Affairs responsibility for all rehabilitation and compensation schemes that cover current and former ADF members and will recognise the unique nature of military service. Further information on the DRCA, and on making a claim for rehabilitation and/or compensation due to a service related injury or illness, can be found on the DVA website. You may be aware that a new Act has been passed to replace the Safety, Rehabilitation and Compensation Act 1988 (SRCA) for current and former Australian Defence Force (ADF) members with coverage under Part XI. The new Act, the Safety, Rehabilitation and Compensation (Defence-related Claims) Act 1988 (DRCA) will replace the SRCA from 12 October 2017. The DRCA replicates the SRCA, modified to apply only to current and former ADF members and their dependants. The commencement of the DRCA will separate compensation for current and former ADF members with service prior to 1 July 2004 from compensation available to civilians covered by the SRCA. The DRCA will replicate the relevant provisions of the SRCA, as it stands at the date of commencement on 12 October 2017. The eligibility and benefits available under the DRCA are the same as those available under the SRCA. All existing claims and entitlements under the SRCA will automatically become claims and entitlements under the DRCA. All new claims relating to service prior to 1 July 2004 will be determined under the DRCA from 12 October 2017. There will be no impact on claims under the Veterans’ Entitlements Act 1986 or the Military Rehabilitation and Compensation Act 2004. Please remember to use the new claim forms that reference the DRCA when you are lodging claims. These will be available on the DVA website. The new Act will be available on the Federal Register of Legislation from 12 October 2017. Click here to view/download frequently asked questions on the DRCA. 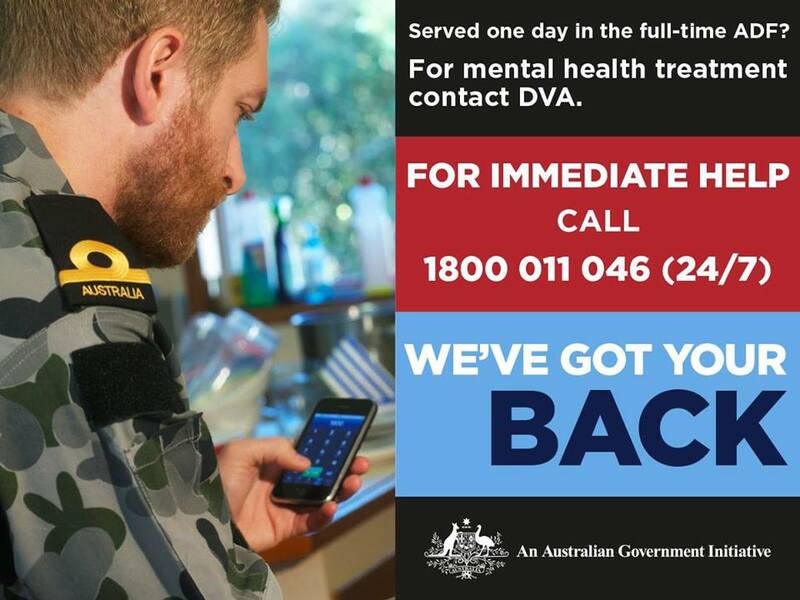 Alternatively, you can contact (02) 6289 4847 or email drca.information@dva.gov.au if you have any questions. Exercise and physical activity are essential for our health. While most of us know that physical activity is important for the health of our muscles and bones, exercise provides many benefits for our mental health too. 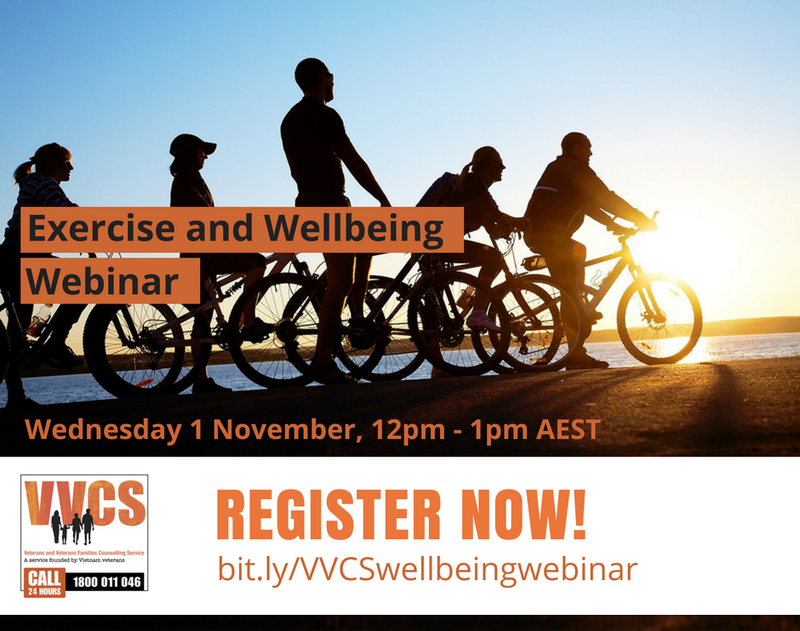 Join VVCS at their next community webinar on Wednesday 1 November, covering the topic of exercise and wellbeing. ATDP Region 3 Manager, David Rye, will be conducting a ATDP Information Session in the Combined Mess at Torrens Parade Ground at 1pm Monday, 16 October 2017. The session will provide an up-date on the program, training and RPL for anybody interested in the ATDP. We invite ESO executives, members and advocates as well as those interested in volunteering with this program to attend. The session is expected to last approximately one hour. Please RSVP to aso3@atdp.org.au by Thursday 12 October if you will be attending. The Hearing Services web page on the DVA website has been updated. Hearing loss can have a significant impact on independence, participation in community life and the ability to communicate with others. Veterans with hearing loss can access services and support through a range of DVA programs, including the DVA Rehabilitation Appliances Program (RAP) and the DVA Tinnitus Program. Veterans can also access services through the Australian Government Hearing Services Program (the program) which is administered by the Department of Health. The Australian Government recognises the importance of supporting people with hearing loss and provides high quality fully subsidised hearing devices and support through the Hearing Services Program. Under the Hearing Services Program, eligible DVA clients can select a high quality hearing device, at no cost, from an extensive range of over 200 high quality devices from the fully subsidised schedule. Device technology available on the fully subsidised schedule is constantly updated based on expert advice. access to additional support for more complex hearing and communications needs, such as tinnitus.